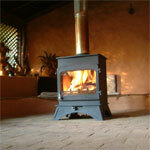 Woodwarm Stoves… If you have one you will probably buy another one. If you don’t have one, here is why we think you should! They are not the cheapest fire on the market which they are the first to admit, they cannot compete with the mass-produced meaningless market, and so because of this they won’t. 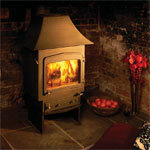 Some of their fires are still in use some 30 years on, what else do you have that’s still working at 30 years old? 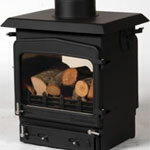 They know how to keep the glass clean, even overnight, they know how to get the maximum use from your fuel, they are unrivalled in their boiler, canopy, fuel, colour, leg, handles, plinth, pedestal, options because they are hand-made here in the UK. 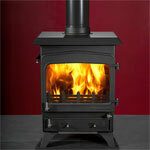 You will buy a house for comfort and as an investment, your choice in a stove should be the same.